Willy Adler was born in Hamburg, Germany in 1920. His situation was particularly precarious; his parents were immigrants who had only recently become German citizens. After Hitler came to power in 1933, Germany would revoke citizenship from all immigrants who arrived after 1918 and then from all Jews, whether immigrants or native-born. 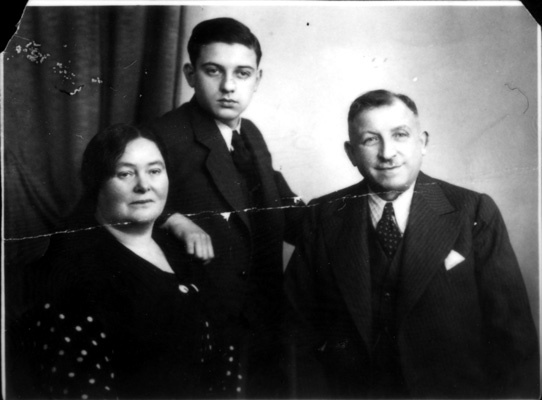 Perhaps this contributed to Willy's family's awareness of the situation in Germany, because in 1939 they attempted to move to the U.S. Only Willy was able to leave the country at that time, but later his parents also managed to escape. Willy arrived in New York and then served in World War II, where he was stationed in Spartanburg, SC. In 1980, he and his wife moved to Charleston, SC, where Willy still resides today.